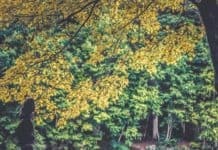 My husband recently had a business trip that took him to Savannah, so even though I didn’t go because of my health (read more about it here), I forced him to gather information for this post. 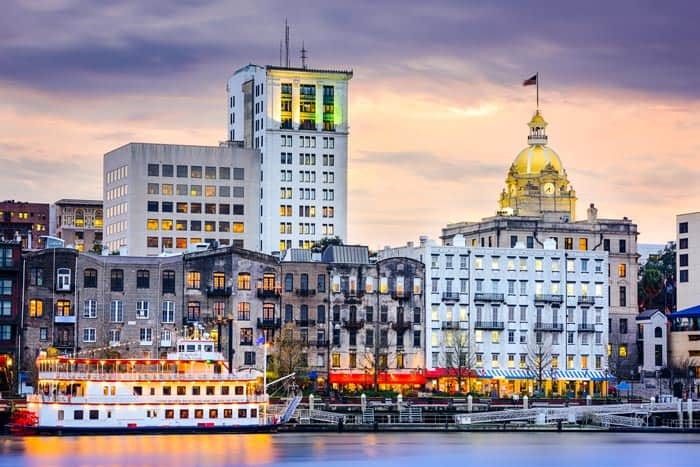 Even though Savannah is a Southern tourist hot spot, it unfortunately doesn’t seem to get as much attention as New Orleans. The cities have similarities, but where New Orleans can sometimes be known for its debauchery, Savannah residents still overflow with class. So what is the charm of the Savannah all about? And why is it worth visiting? 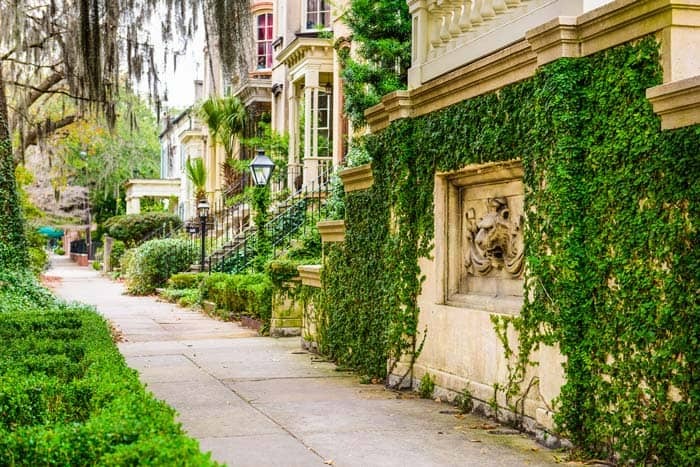 The allure is not just that it gives you the ability to step back in time a couple hundred years, that you can see massive oak trees clustered with Spanish moss swaying peacefully in the breeze, or even that you can walk down the riverfront on cobblestone lined streets. While these things are all amazing, there is so much more that is appealing about Savannah. We recommend staying at the Andaz Savannah Hotel. This is where my husband stayed and he really liked it. His favorite parts about the hotel were the fitness center, terrace pool, and the perfect location right by the Savannah River. You can check prices or book here. The best way to try typify the Southern mentality is to explain one experience my husband had while there. He pulled into a parking garage and asked for and received directions to his hotel from a friendly attendant. When he mistakenly started walking the wrong direction, the attendant sprinted out of the booth to chase him down to make sure he didn’t get lost. How is that for charming? Even though Savannah sits in the deep South, it isn’t as conservative as you would imagine; the students of the SCAD, or SCADs add a strong liberal element in the city, and make sure that the city is inundated with quality art. My husband says the art students are NOT hard to miss. 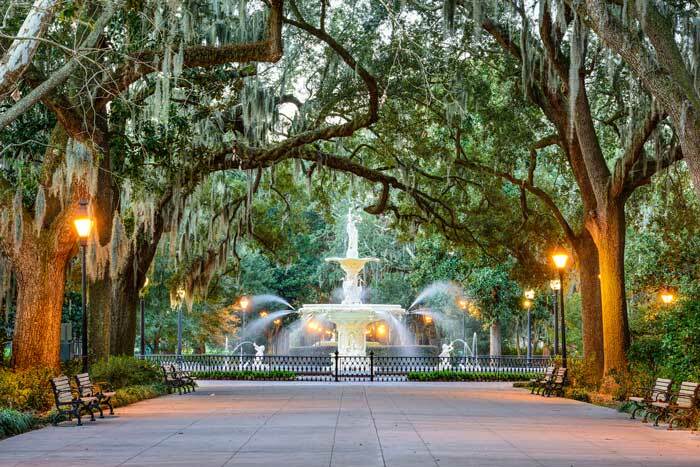 This large park in the historic district of the city features the oak trees dripping with Spanish moss, and is the ideal location for a romantic afternoon stroll (my words not his). A confederate war memorial sits in the middle. The historic district is a great location to explore local eats, take a nearby riverboat cruise, or even take a horse and carriage ride around the cobblestone streets. Actually Forrest’s bench has been removed, but Chippewa Square where those scenes were filmed can still be seen and recognized. I’m sure most of you have heard the purring drawl of a Southern belle or gentlemen, but for those of you who haven’t, it’s intoxicating! Some people think Southerners are stupid because they speak slow; I believe it is a mistake to confuse being very deliberate and particular with stupid. Have you guys been to Savannah? 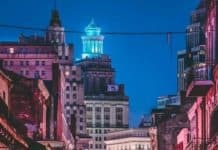 If so, what were some of your favorite things about the city? Oh, and some of you have asked why I periodically purchase stock photos instead of always uploading my own. The best answer is right here. I asked my husband to take quality pictures of Savannah, and look what he gave me! This post contains affiliate links and we will make a small commission if you guys book through our link. I want to thank you all for the support! It means the world to us. Savannah is my favorite city in America! Way more than New Orleans. Yes! That is exactly what my husband was saying! He loved it so much. Would love to see this beautiful city! You definitley should if you get the chance Mark! 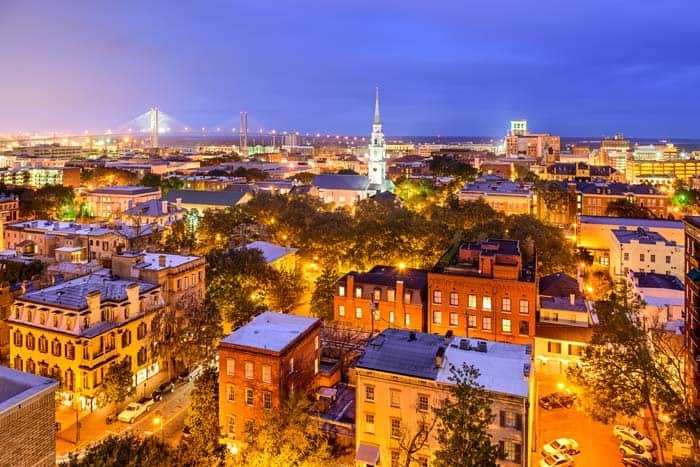 Savannah is one of the top places on my travel list. I work in historic preservation so it’s RIGHT up my alley. A couple years ago I finally got to Charleston and loved it so I’m sure I will love Savannah too! Sounds perfect for you then Holly. My husband has been to Charleston multiple times but it is still on my bucket list. Hopefully this year I will get to go. We spent a day in Savannah during our trip to Hilton Head and had a fantastic time! We’re from TN so the southern thing is normal for us, but the beautiful homes and buildings had us all falling in love. Even got a tip from a local and got to eat some of the BEST food without waiting in a 2 hour line by going around back and getting it to-go from some of the cooks! Such a cool experience and I would love to go back some time. Whoa, that is awesome you got to skip the line! I know a place must be awesome if my husband liked it, haha. He is not easily impressed. It is also so nice that Hilton Head is right there as well, very easy to hit both places on one trip! Thanks Jordan. Hey Sheri! Thank you so much! That is so awesome you just got done a trip around the world. We have one coming up this summer and we are so excited. I’ll have to read about your trip on your blog. Oh, and yeah…my husband takes AWFUL photos! Haha! Savannah is beautiful! I went a long time ago when I was a teenager and I still remember how much I liked River Street. Yeah, I knew when my husband talked about how much he liked it that it had to be pretty amazing! He is not easily impressed when it comes to traveling. Also, I am so sorry Gabby it took me so long to respond. I didn’t even see your comment until today! I was in Savannah only a month ago and my favorite was Wormsloe Historic Site. The alley sheltered under the oaks and Spanish moss looks like it’s straight out of a fairy-tale! Oh yes, there is just so much to Savannah it is crazy. 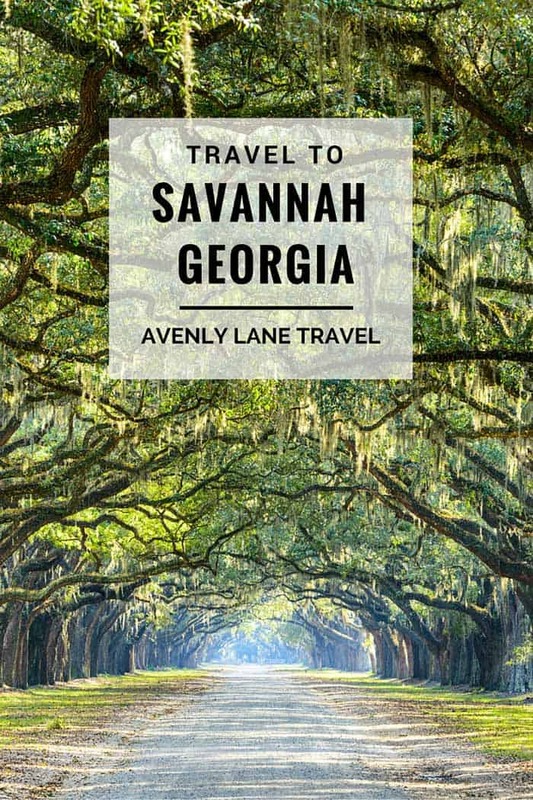 It’s weird to think with all the traveling we do I had never even really heard of Savannah until my husband told me how amazing it was and that we should go! Haha. 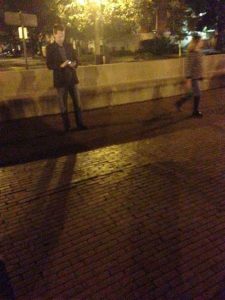 I’d love to go on a ghost tour in Savannah, I bet the city has some spooky stories to tell!